How does one look in to the blood and see what each cell is doing? What is Live Blood Microscopy? The procedure is called Live Blood Microscopy; to put it briefly, white and red cells become visible to the eye when a pinch of blood goes under the microscope. This simple test shows us what happens in our blood and whether infections are being fought. If you are questioning if you have Lyme disease or any STD, it is imperative to have this procedure. 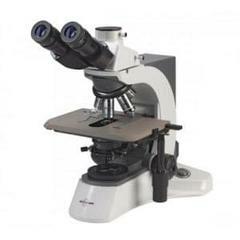 Live microscopy of the blood or LBA may show parasites, fungi, digestive problems, allergies and many other conditions. If you're looking for health answers, this is a short way to explore the problems. White cells fight against bacteria according to their shape and size. White cells attack unwanted problems in the blood and plasma to overcome disease. Red cells detect heavy metals, organ symptoms and pregnancy, lung, heart, colon and other body trauma. In short, it is much more descriptive than a full blood drawn from a laboratory that may not be clear to the patient. A lab drawn test versus LBA is read by different methods. The two are quite different. Both tests should be done by the patient. Live blood microscopy is sometimes used by some doctors and technicians only to encourage the patient to purchase nutrients. It is used as a diagnostic tool in the true sense of the test, which helps the patient to understand their health condition. When used as a diagnostic tool wonderful things can be seen and symptoms can be cured. Know that nutrients never cure the body of disease. Homeopathy is a way of healing. How is it done? A blood drop specimen is taken and placed directly on the slide below the microscope by the doctor. The blood is taken with a small pinch stick from a finger. With immediate results, the test can take anywhere from 30 minutes to an hour. A neurotransmitter test that provides an accurate profile for further healing is recommended.